Whether you are buying or selling, it is my goal to get you the Best Price possible. Since I am a people person, I enjoy the entire process from start to finish. I enjoy getting to know my clients and spending time with them on their personal journey to find the perfect home. I am determined to work as hard as I can to keep the stress levels down that can sometimes come with the process of selling or buying, knowing the importance of this decision in my client’s lives. I am 100% dedicated to customer service and satisfied clients. I have been in real estate since 2008 and furthered my education and knowledge by becoming a Associate Broker with Keller Williams, currently serving with the Patty Turner Group. 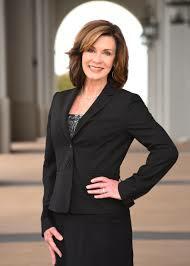 I have listed and sold homes all over the Dallas metropolis and would like to help you! By determining the market value so that your home is priced to sell, marketing your home for maximum exposure and examining the comps to help in your offer on a buy, I am able to facilitate a smooth and quick transaction. Please give me a call and let’s begin your journey to sale or buy.